For Venetian Prefect Carlo Boffi, "Migration is the problem of problems for Italy and the EU -- an extremely complex problem of Biblical dimensions." Nevertheless it is heartening to see that kind hearts can still prevail. With all the problems facing Italy -- dissolving banks, unemployment, carry-over scandals from last year -- it is heartening to see that kind hearts can still prevail. 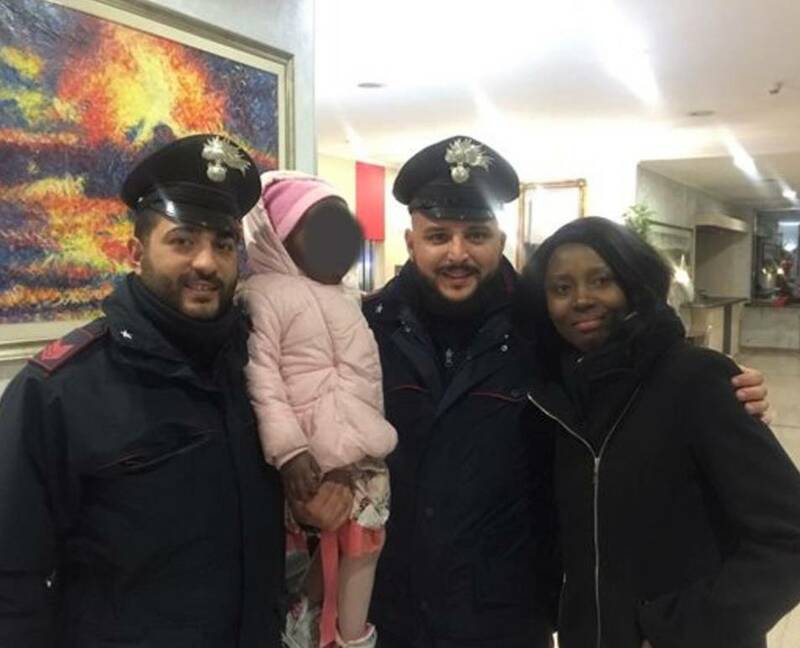 On a freezing night at year end in Rome, two young Carabinieri paramilitary police received a phone call from one of the nuns in the Sisters of Redemption house near the Vatican. A woman carrying a baby had knocked at their door asking if the two could bunk down there for the night. There is no more room at the inn, came the answer -- but then, watching the two leave, a remorseful nun phoned the Carabinieri and asked them to go find the mother and child, and help them find a place to sleep. "Go quickly," they were admonished. "They need you." The Carabinieri team, whose names were not released, began their search, which ended under the sheltering arms of Bernini's colonnade in front of St. Peter's Square. Clutched in her mother's arms was a three-year-old, Lucia, dressed only in a summer frock. The woman, Mireille, 33, had escaped to Italy from Congo and was a regularly registered migrant who, as it happened, had just been released from hospital and, perhaps due to a bureaucratic snafu, had slipped through the cracks of the social services. The Carabinieri bought them food -- milk, a baby bottle, clothes for the baby and a meal for Mireille -- and then took them to a hotel where out of their own pockets they paid for a double room with a bath on Via Gregorio XI. "You are my angels," said Mireille. "It's our job, we are Carabinieri," came the reply, according to the Vatican weekly Famiglia Cristiana. And in case anyone could forget the other suffering migrants, newspapers Jan. 2 front paged a photograph of a boat owned by Medecins sans Frontieres loaded with migrants arriving from North Africa. "The first of the year," trumpeted the headlines. Then came the ANSA bulletin that along the Sardinian coast on New Year's Day a boat carrying 15 migrants from Algeria was landing at Sant'Antioco. So what happened to Mireille and little Lucia the day after? No trace of them seems available, but in the meantime, at the Centro Accoglienza migrant hospitality center at Cona, a tiny town near Venice, Sandrine Bakayoko, a woman of 25 from the Ivory Coast in the camp while waiting for a reply to her demand for political asuylum, collapsed in a bathroom and died of a blood clot on the lung. 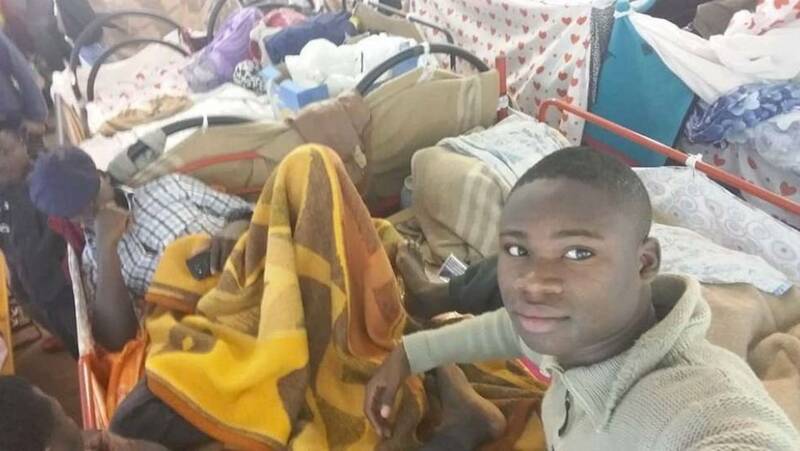 Claiming that authorities had been slow to respond (called at 8 am, an ambulance arrived at 2 pm), migrants staged a savage demonstration Jan. 3, and locked 25 volunteer helpers into a container for some hours before release. The camp, a former missile base, now houses some 900 migrants. Conditions there are grim enough to have prompted migrants to keep a diary of problems there, especially of hygiene and health. Speaking to the press, Venetian Prefect Carlo Boffi said that "This is the problem of problems for Italy and for the European Union -- an extremely complex problem of Biblical dimensions, also because our country is a platform in the sea, and hence we cannot technically close our borders. The real problem is linked to the repatriation of people who are irregularly present in our territory. We need specific international agreements." However unpopular holding stations like that at Cona may be, he went on to say, "it would have been far more dangerous to have [migrants] indiscriminately circulate in our territory." Not surprisingly, already the new government headed by Premier Paolo Gentiloni has called for a crackdown on unregistered ("irregular") migrants. While Italian Foreign Minister Gentiloni had warned that, "if the EU stays dogmatic with the idea that each country do whatever it wants on the migrant problem, it will end in disaster" (Interview, La Stampa, Oct. 4, 2016). "Not only -- the E500 million the European Commission had requested was blocked. It is my impression that for Europe the migration question had been resolved with the EU agreement with Turkey." Signed in Brussels March 19, this decreed that all new irregular migrants crossing from Turkey to the Greek islands as of March 20 would be returned, and that "for every Syrian returned to Turkey from the Greek islands, another Syrian will be resettled to the EU." Just one year ago Italy had proposed a Migration Compact, but no action was taken. The boomerang intrinsic in the EU-Turkey compact, inevitably, was that migration into Italy soared. Despite all this, it would be an error to think that Italians, themselves migrants to North and South America a century ago, are universally hostile. The new book "Libertà di migrare, Perché ci spostiamo da sempre ed è bene così" (Freedom to migrate, Why we have always been on the move and it's better that way), by Valerio Calzolaio and Telmo Pievani, was the subject Jan. 3 of a lively debate in Palazzo Montecitorio chaired by Chamber of Deputies President Laura Boldrini. The theme: let us all go to see what is over on the other side of the hill. It is what we have all always done.